It’s the first week of the Olympics and here is a brief breakdown of a few Asian athletes at the Winter Games in Sochi, Russia. 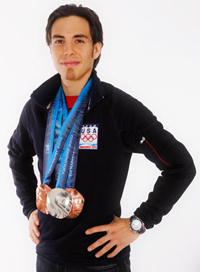 J.R. Celski had the gold in his grasp, and then one move caused him to lose any type of medal in his first event at the Sochi Games. Celski made the finals in the 1,500-meter short track event and was in the lead heading into the final laps of the race. However, the 23-year-old from Federal Way gave up the lead due to a tactical error and ended the race in fourth place. Canadian Charels Hamelin won the gold, China’s Han Tianyu drew the silver, and South Korean (now Russian, see next item) speed skater Viktor Ahn took the bronze. Don’t worry, Celski fans. He still has more events left in these Olympics. Stay tuned. South Korean short-track speed skater changes name, country for Olympics. Ahn hyun-Soo was a three-time gold medalist, having competed in the 2002 and 2006 Winter Olympics. However, he is now Viktor Ahn. Why? Originally from South Korea, Ahn is competing for Russia in Sochi and has received the personal support of President Vladimir Putin. Ahn had a falling-out with the South Korean skating federation and he did not make the 2010 Winter Olympics in Vancouver, so he decided to leave. He examined naturalization for top athletes in several countries and the choice came down to Russia or the United States. Ahn chose Russia. The choice has paid off. 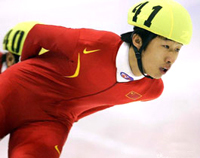 He won the bronze medal in the 1,500-meter short track speed skating event. When Ahn was announced for his medal, the Russian crowd erupted in support for the converted Russian. It was the first Olympic medal in short track speed skating for Russia. Noriaki Kasai is the best hope for Japan to medal in ski jumping. Although the Sochi Games are not yet over, he is already thinking ahead to the next Winter Games in Pyeongchang, South Korea. In four years, Kasai will be 45. At age 41, he is currently competing in his record-tying seventh Winter Games. This is a remarkable achievement for anyone, especially considering the death-defying jumps taken in ski jumping. 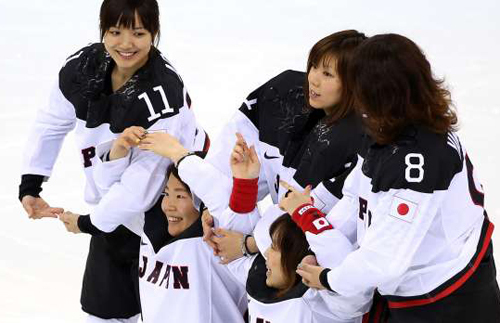 After 16 years away from the Winter Olympics, the Japanese women’s ice hockey team found itself a goal away from pulling off a huge upset. Japan tied the game in the last period after a shot by Ayaka Toko floated through three Russian defenders for the goal. Unfortunately for Japan, Russia took the lead later in the period and won the game 2-1. Still, the close game against the heavily favored Russian team is an achievement. Japan last qualified for the Winter Olympics in 1998, when the games were held in Nagano. It is the only Asian country competing in women’s ice hockey in Sochi. The U.S. Women’s Olympic hockey team is one of the favorites to take the gold in Sochi. 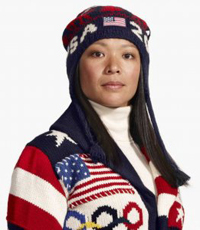 Julie Chu is one of the veteran hockey players leading Team USA. She is getting some notoriety starring in a couple of Bounty paper towel commercials with her mother. In the commercials, she thanks her mother for letting her turn their home into a quasi-hockey rink, essentially allowing Chu to play in the house and sometimes spill things. Thus, there was a need for Bounty. Bounty has another commercial which gives their family story of raising an Olympian and being a hockey mom. The Chus also talk about “Commitment, Honor, and Unity,” a mantra patterned after their last name. It’s a great commercial and most of us watching the Sochi Games should be on the lookout for these inspiring commercials.